Deschampsia cespitosa, also known as tufted hair grass, and tussock grass, is from the shortgrass prairie. 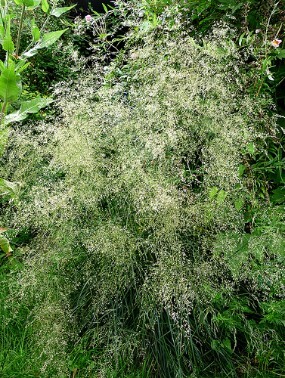 They are cool season, clump forming, and long lived. They are a good choice for covering a large, bare area, as they also self-seed, and fill in quickly.